In a country where a true participative democracy seems no more than a distant dream, the oil wealth of recent years has not trickled down to the population. Health care is severely lacking and many families cannot afford to send their children to school. 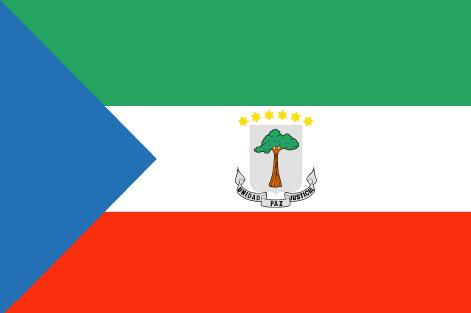 Bata has a population of approximately 180,000 and is located on the Atlantic Coast of Equatorial Guinea. It was once the capital of the country and its port still makes it an important centre of trade. SOS Children’s Villages began its work here due to the high levels of poverty that affect the majority of the population. Life expectancy remains low, unemployment levels are high, and illiteracy remains widespread, particularly amongst the poorest sectors of society. The recent discovery of crude oil has brought the country wealth, but it has been described as a “jobless growth” that has not benefited the majority. One of the greatest difficulties the population of Bata, and Equatorial Guinea on the whole, faces is the dysfunctional health system, which is marked by insufficient human resources, infrastructure and financial means. In addition, health care is simply not affordable to many: one night at the hospital in Bata can cost the average person up to two and half months’ salary, and a night in an intensive care unit over six months’ salary. These factors have led to a growing association of traditional healers, which is officially recognised in Equatorial Guinea. There are around 800 of these practitioners – as opposed to 153 doctors. In the fight against diseases like tuberculosis, HIV/AIDS and malaria traditional healing practices have shown little effectiveness, however. A lack of information – or the proliferation of misinformation – further aggravates the problem. The high prevalence of HIV/AIDS, in particular, has placed thousands of children at the risk of losing the care of their family. Many rural families affected by the disease come to Bata in the hope of receiving medical treatment. But living costs are high here, jobs are scarce, and in many cases the family’s situation only deteriorates further. This has led to a great number of street children, homeless children, and children heading the household and looking after their younger siblings. SOS Children’s Villages began its work in Bata in 2000. In recent years, we have expanded our efforts to reach out to vulnerable families in the surrounding community through the SOS Family Strengthening Programme. We ensure that children have access to essential educational, nutritional and health services, and we support parents in protecting and caring for their children, for example by offering guidance on income-generating skills and parenting practices. We provide counselling and psychological support to both children and their caregivers, and we assist families affected by HIV/AIDS. In cooperation with local authorities, we also work towards strengthening the support systems available within the community. Around 400 children and their caregivers currently benefit from these services. The SOS Medical Centre in Bata attends to around 2,000 patients a month, providing basic health care and treatment, check-ups and preventive measures, as well as in-patient treatment and obstetrics to members of the local community who may not otherwise be able to afford these services. In order to meet the increasing demands, the centre was expanded in 2012. For children from the region who are no longer able to live with their parents, ten SOS families can provide a loving home for up to 100 children. In each family, the children live with their brothers and sisters, affectionately cared for by their SOS mother. Around 180 children from the children’s village and the neighbourhood attend the SOS Kindergarten, ensuring that children from SOS families make friends and are integrated into the local community from a young age. The children then go on to complete their primary and secondary education at the SOS schools in Bata, which are attended by around 850 pupils. When young people who grew up in one of the SOS families feel ready to move out of the family home in order to study, receive training or find work, the SOS Youth Programme continues to support them as they make the transition into independent adulthood. Of course the young people also maintain close contact with their SOS mother and siblings.